Assessment of the changing environmental conditions is essential for planning the wise use of natural resources. The main objective of this paper is to analyze the historical and future modeled LULC changes using multi-temporal Landsat images in the Upper Awash basin, Ethiopia. The supervised image classification method was used to determine the historical LULC changes based on Landsat 1 MSS 1972, Landsat 5 TM 1984, Landsat 7 ETM + 2000, and Landsat 8 OLI TIRS 2014. The future LULC change was predicted using the machine-learning approaches of Land Change Modeler (LCM). The LULC change detection analysis exhibited significant increment in the areal extent of the cropland and urban areas, and decreasing trends in the pasture, forests and shrubland coverage. Mainly, the LULC change matrices indicated that larger conversion rate was observed from shrubland to cropland area. The urban area found to increase by 606.2% from the year 1972 to 2014 and cropland has also increased by 47.3%. Whereas, a decreasing trend was obtained in the forest by − 25.1%, pasture − 87.4%, shrubland − 28.8% and water − 21.0% in the same period. The modeled future LULC change scenarios of the year 2025 and 2035 have exhibited significant expansion of cropland and urban areas at the expense of forest, pasture and shrubland areas. The study has revealed the extent and the rate of LULC change at larger basin and subbasin level which can be useful for knowledge-based future land management practice in the Upper Awash basin. The authors are thankful to the anonymous reviewers for their genuine comments and suggestions which has improved this paper. The authors are grateful to the Ethiopian Mapping Agency for providing topographic maps, and the Ministry of Agriculture of Ethiopia for providing crop-related data. 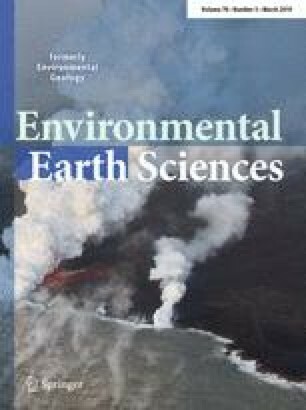 The authors are also thankful to the United States Geological Survey (USGS) for providing all Landsat data series and DEM data free of cost which has been used in this study.